Home Tags Posts tagged with "miami international boat show"
Bob Teague of Speedboat Magazine interviews Bill Tweedie of MYCO Trailers at the 2019 Miami International Boat Show. Bob Teague of Speedboat Magazine interviews Joe LoGiudice of Hustler Powerboats at the 2019 Miami International Boat Show. 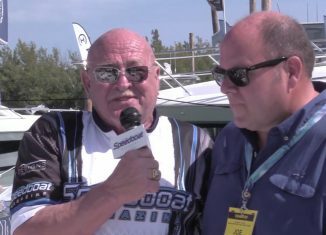 Bob Teague of Speedboat Magazine interviews Trond Schou of Nor-Tech Powerboats at the 2019 Miami International Boat Show. 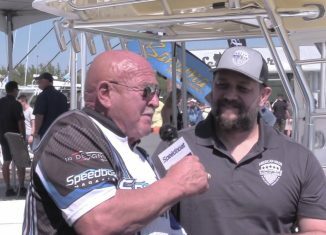 Bob Teague of Speedboat Magazine Interviews Mike Layton of Adrenaline Powerboats at the 2019 Miami International Boat Show. Bob Teague of Speedboat Magazine interviews Skip Braver of Cigarette Racing at the 2019 Miami International Boat Show. Bob Teague of Speedboat Magazine interviews John Cosker of Mystic Powerboats at the 2019 Miami International Boat Show. Bob Teague of Speedboat Magazine interviews Randy and Taylor Scism of MTI at the Miami International Boat Show.